Job loss leaves most people feeling less confident. It’s not just about losing the income but also about your image and sense of yourself. For many of us, the value we put on ourselves is closely tied in to our work. Let’s face it, for lots of us, work is where we spend most of our waking life. It’s often where we find our friends (and even partners) and where we may make out major achievements. So when we lose a job, we feel we’ve lost part of ourselves and we grieve for it. But you are much more than your job. People who really matter value you for much more than your work role. So, how can you begin to appreciate yourself again after job loss? How can you send that confidence back up the scale? Here are some thoughts. After job loss, the temptation is to ruminate on what has happened. The same thoughts and questions keep going round and round in your mind with no real answers emerging. Sadly, this is happening at a time when you may not have much to keep you busy. So you need to build a new routine. Make sure you have plans for each day. Making a work routine for your job search is important. I usually advise clients to spend as as much time as they did at work, on their job search. As for that tape that keeps running round your head, well think of it as an old radio playing in the background. Don’t fight the thoughts, observe them. Try not to engage with them. If the thoughts persist, think about seeking help from a counsellor or coach. You may want to consider taking a mindfulness course, it will help with exactly this kind of thinking. After job loss, you may miss the company and the contact with people that you had at work. Now is the time to work on your network. Get out that old address book, look up your email contacts and those on your mobile phone. Find people on social networking sites like Facebook, LinkedIn, and Twitter. When you are not at work, social networks can become your water cooler – a way of keeping in touch with what is going on in the world. And you will be surprised how supportive your social media chums can be. Pick up old contacts and find out what people are doing now. Show a real interest in them. It will give you company but also might give you a lead to the next job. 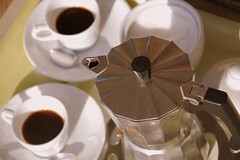 Meet up – have a coffee with them. Tell them you are interested in new opportunities but don’t dwell too much on why you lost the last job. This is a time when it is all too easy to slump around in jogging pants all day. Mind you the jogging, or at least some kind of exercise, is important – as is a good diet. Dress for work in the home office – albeit a little more casually than you did for work. It will help to raise your morale. Most of us will feel bad about the loss of income. But there is help – make it a project to find out all the sources of financial support available to you. For people in the UK, here is a link to Citizens Advice Benefits Information. Take time to understand where you might find help, then make sure you take advantage of it. Think carefully about how you and your family are spending money. Changes may be needed after your job loss. Living with less money may mean changes in lifestyle for all the family; not so many meals out and subscriptions to clubs etc. Make the changes carefully, particularly if they affect your children. Plan and prioritise just like you would at work but engage the family in the choices you make. If you have a mortgage, now may be the time to consider discussing a mortgage payment holiday. Time to consider just how competent you are! This is the time to focus on what you are good at and your passed achievements. Elsewhere on this blog there is advice on writing your STAR stories. Preparing your STAR stories can be a real boost to your self-confidence after job loss. But they are also a great way to prepare to update your CV ready for your new job search. When money is short, it is time to get creative about ideas for family and relaxation time. Even though it is now about long country walks rather than theme parks, it can still be fun. There are lots of free events and festivals around if you look for them – use that involuntary spare time to find them. Feeling guilty about job loss doesn’t change what has happened. Spend time looking forward because you can change the future. Don’t be hard on your self. You are one amongst thousands. In any case, you may not have a job but you do have a project and that is you. >Why you need to network! In my last post, I mentioned that Dave, like others leaving the public sector, doesn’t think networking will be the right thing for him. So today, I am going to write about the value of professional networking. Everyone has a network of friends and contacts already. Networks are not about exploiting people, they are about building and maintaining relationships. In professional networking you are gathering information that may help you in your work, not just your job search. You never know when you will need these relationships or when your contacts may need you and the information you have in return! Just like personal networks, professional networks are about reciprocal arrangements. And personal networks and professional networks blend into each other in terms of people offering mutual support. But let us deal with the issue of networking and job search! Most people leaving the UK public sector come from an environment where the rules require all new posts to be advertised. While it is true that people find ways round the rules, that is expectation. It is part of the culture. People can get very upset if they find a juicy public sector role has been filled without being advertised at least internally across the organization. But those same people can get very upset if they a key role has been advertised outside the organization without looking first for someone inside the organization. That again is part of the corporate culture. In the world outside things are often different. As Ian Machan said here recently probably between 30% – 80% of all jobs, never get advertised – the iceberg factor. If you spend your time just on the advertised vacancies, you have less chance of getting a post because there is far more competition for those roles. If you spend at least some time on the hidden, less competitive vacancies, you are raising your chances of success. So, it is wise to take a balanced approach, between applying for advertised posts and exploring the “hidden market. Direct approach through networks of personal contacts and head-hunters (who again often rely on their own wide networks of contacts). Previous applicants – unsolicited CVs received or near-miss candidates from previous advertising campaigns. Small-to-medium-sized organizations (SMEs) may never advertise their jobs nationally – or at all. With far smaller recruitment budgets, these organisations prefer local or specialist publications, recruitment agencies, unsolicited and direct applications or people found through contacts. In some larger organizations, again not all vacancies are advertised! This is so particularly in competitive areas such as public relations, journalism or consultancy work. Employers expect applicants to take the initiative. ll known to contacts as being capable of doing a good job against the risk of an unknown “best” candidate. The degree of formality around filling even quite senior posts can vary widely. This may come as something of a shock to former public sector employees. Networking is critical in accessing this hidden market. There is a huge amount to be gained from developing your contacts in terms of gathering industry knowledge and hearing about these never-advertised positions. A professional network is not just a nice-to-have; it’s a must-have source of new work, support, advice, ideas and consolation. So, strengthen relationships with people you already know and put some energy into meeting new people. My next post will deal with your online presence, LinkedIn, Facebook, Twitter and the rest—they’re not just for teenagers, they are efficient and effective ways to stay in touch with a whole lot of people and to find new opportunities. In the mean time if you need advice about networking please get in touch – my contact details are below or you can use the contact form here. Posted on May 10, 2011 Categories Business networking, Early Retirement, Job Advertising, Job hunting, Job Search, job seeking, Networking, professional networking, Recruitment, Redundancy, the hidden job market, UnemploymentLeave a comment on >Why you need to network! As I mentioned in Part 1, when you start networking, you will find that most people are generous with both their time and their advice. If they trust you, they will be prepared to introduce you to others who can help and to give you good advice. But starting to network can be daunting. So we are going to make a pilot list of people who are both useful and approachable. These will be people you can practice on! Their “user friendliness” – how approachable they are. Now you can rank them. Put those with a score of 2 or less in categories 1 and 2 above to one side in pile D – these are put on hold for now! Of those who remain, put those with a score of 2 or less in category 3 in pile C. However useful they are, it will help to build up some confidence before you approach them. Unless of course you are an Ace Networker who loves a challenge! Now add up the scores of those you have left and rank them. Within your top ten, do you have five who score 5 in category 3?. If so put them in pile A. If you can’t find five contacts who score 5 then add in the top scorers who scored four in category 3. You are looking for five useful people who are also friendly to start your networking activity – Pile A – Your Pilot List. The rest go into Pile B. Make sure you have names, email addresses and telephone numbers for Pile A and Pile B.
I hope the ranking made sense – if not get in touch and I’ll give further guidance. eed to decide what to say. People just love being asked for advice. Personally I believe this is best done face to face over coffee, lunch or a drink rather than on the phone. So I would start with an email or a phone call to ask for a little of their time. When you have asked how they are, and reminded them if necessary about how you met, you need an explanation for your call or email! It is a good idea to keep things fairly brief and positive as you can at this stage! You can mention being caught up in the cuts if it is appropriate but emphasise that you are focussing on the future rather than the past. You are seeking their advice and perhaps to find out more about their sector or their organisation and the possibilities. You could ask if it is OK to send your CV before the meeting saying that you would welcome thier comments upon it. Use your card index or Microsoft Outlook Contacts to keep a record of your success – who you have rung and what happened. You can use the category markers and follow up flags in Microsoft Outlook Contacts to keep track. Treat this like a project with a beginning middle and end. Work through your pilot list. Keep a record of their comments and remember to send a note of thanks after your meeting. Say that you would like to keep in touch and ask them to keep you in mind if they hear of anything interesting. When you have worked your way through your A List, you should be ready to start on List B. The next post will deal with networking events and “cold calling” people you do not know. But in the mean time I would love to hear how you get on. And of course please get in touch if you have questions. Many experts believe that many, if not the majority, of jobs don’t get advertised. This is certainly true for the private sector, less so in the public sector. But the likelihood of a job not being advertised seems to increase with the level of the job. So the more people who know you, or at least know of you, the more likely you are to be offered a role. There is a very good reason to develop and make the most of your contact network. But unfortunately networking doesn’t always get a good press. It continues to be associated with selling of the cruder kind. This is a pity! Networking can be useful and very enjoyable for all concerned! If you go into it with an honest approach, determined to offer something of value (you are prepared to develop the relationship and provide help when you can) it is certainly not exploitation. You will be surprised how willing and pleased people will be to help. For networking to work well you need to develop a broad list of contacts. This can include people you’ve met in your private and social as well as your work life. Don’t forget people you’ve met through social networks over the internet but I’ll deal separately with social networking in another post. Unless you want to invest in specialist software, the easiest way to start your list is with a pen and a large sheet of paper. Then think in terms of a series of circles; the inner circle being your closest friends and family. You can draw this if it helps. Or you could develop a spider diagram, if that appeals to you more. You then segment each circle (branch) into slices for family, work, hobbies and social life. Work from inside out – who do you know and who might they know? Think about people you know now and people you used to know. You can edit out in the second step – the first step is get as many people down on paper as possible. In the next step we are going to think about how you are going to use the list. We are going to work out a plan and for that you are going to need a card file or a simple computer data base. I use Microsoft Outlook Contacts. When you start networking, you will find that might most people are generous with both their time and their advice. If they trust you, they will be prepared to introduce you to others who can help! In the mean time if you have any questions please get in touch. If you have some good tips on how to make the most of your network please share them here. 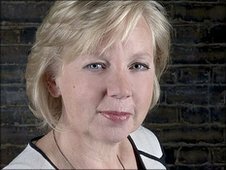 Dragons’ Den investor and successful entrepreneur Deborah Meaden, one of four business mentors helping public sector workers facing redundancy in Newsnight’s Job Market Mentors, gives her top tips on making the transition. Its more important than ever right now to do well at interviews. Don’t lose your vital opportunity because you have not done your home work! Research as much as you can about the company – products, services, markets, competitors, trends, current activities, priorities. Prepare your answers for the type of questions you’ll be asked, especially, be able to say why you want the job, what your strengths are, how you’d do the job, what your best achievements are. Prepare good questions to ask at the interview – see the section below. Related to the above, request a copy of the company’s employment terms and conditions or employee handbook before the interview, in order to save time covering routine matters during the interview. Assemble hard evidence (make sure it’s clear and concise) of how what you’ve achieved in the past – proof will put you ahead of those who merely talk about it. Have at least one other interview lined up, or have a recent job offer, or the possibility of receiving one from a recent job interview, and make sure you mention it to the interviewer. Make sure your resume/cv is up to date, looking very good and even if already supplied to the interviewer take three with you (one for the interviewer, one for you and a spare in case the interviewer brings a colleague in to the meeting). Get hold of the following material and read it, and remember the relevant issues, and ask questions about the areas that relate to the organisation and the role. Obtain and research: the company’s sales brochures and literature, a trade magazine covering the company’s market sector, and a serious newspaper for the few days before the interview so you’re informed about world and national news. Also worth getting hold of: company ‘in-house’ magazines or newsletters, competitor leaflets, local or national newspaper articles featuring the company. Review your personal goals and be able to speak openly and honestly about them and how you plan to achieve them. Ensure you have two or three really good reputable and relevant references, and check they’d each be happy to be contacted. Adopt an enthusiastic, alert, positive mind-set. Follow the link. Particularly think about how to deal positively with any negative aspects – especially from the perspective of telling the truth, instead of evading or distorting facts, which rarely succeeds. Think about what to wear. Do you know the company dress code? When in doubt wear a smart business suit! Some jobs invite or offer opportunity to re-define or develop the role itself. It might be a existing role or a new position. If so prepare for this. Most jobs in fact offer this potential, but sometimes it is a stated requirement. A key to asking great questions at your interview is to ask questions that impress the interviewer. Most candidates just ask about routine details that they think they ought to know, or which they think of on the spur of the moment, but which will probably be provided in due course anyway in documentation about terms and conditions. This is meaningless and should be avoided. Instead focus on the job priorities and scope, on the organisation and ways to make a difference or an improvement. Try to think strategically like a manager, and for very senior positions, like the CEO. Try to adopt the mind-set of a helpful advisor who needs to ask helpful facilitative questions. Focus on the organisation not on your own needs. Think before the interview about what the successful candidate will be like – ask yourself beforehand, what great questions would the successful candidate ask? And then be that person. When you research the job look into the sort of challenges the organisation is facing, and think how this affects the vacant role. What does the employer need from the successful applicant? How might the role be extended to contribute more to the organisation if the job were performed by a suitably positive and capable person ? (That’s you incidentally.) The job advert or job specification might give you some clues. Do your research so that you understand as much as possible about the priorities of the job position, and the organisation and its situation, and then think about the ways that the role could be extended to provide greater support towards achieving organisational challenges. This sort of background thinking will help you to prepare questions that will seriously impress any interviewer, whatever the role. It is possible also to think of good positive impressive questions just by using what you know of the role and the sort of issues that face modern employers. The point is, you need to think about it and prepare beforehand. The use of this material is free provided copyright (see below) is acknowledged and reference or link is made to the www.businessballs.com website. This material may not be sold, or published in any form. Disclaimer: Reliance on information, material, advice, or other linked or recommended resources, received from Alan Chapman, shall be at your sole risk, and Alan Chapman assumes no responsibility for any errors, omissions, or damages arising. Users of this website are encouraged to confirm information received with other sources, and to seek local qualified advice if embarking on any actions that could carry personal or organisational liabilities. Managing people and relationships are sensitive activities; the free material and advice available via this website do not provide all necessary safeguards and checks. Please retain this notice on all copies. These tips will help you create and communicate a brand that will help employers choose you: Remember you are the product, and the employer is the consumer. A clear and compelling career brand helps employers understand the benefits of your product and give you an advantage in the job market. Successful career brands weave together three A’s: Authentic image, Advantages, and Awareness. Project an image of your authentic self, focus on the advantages you offer in getting the job done, and make employers aware of those advantages. Authentic Image: Your brand should be founded on authenticity. It should be about who you are, your work-life purpose and what you are committed to in life. As a starting point to develop your brand, brainstorm a list of all the things you are good at. Then identify your passion. Using your brainstormed list of what you’re good at, circle those items you are most passionate about. What is number one? Advantages: Once you’ve identified your top pick, determine the advantages to that item. For instance, if you are good at resolving conflicts what could be the advantages to a new employer – greater cooperation among team members, which leads to enhanced productivity. List at least three distinct advantages for your brand. Awareness: Internationally known consultant and author Alan Weiss, states that a brand is “an awareness factor.” Above all, look for opportunities to make the right people aware of your brand. Get on the radar screen. The best brand in the world is useless unless people are aware of it. Initiate an orchestrated campaign to “brandish” your brand. You can get your name out there by writing articles, speaking at association meetings, doing some voluntary work. Conduct some some analysis to determine what the market conditions are for your emerging brand. Is there a need for what you offer? Are companies hiring in that area? Are there competitors for what you want to do? If the answers to these questions are negative, consider fine-tuning your brand. Once you’ve determined your passionate competency and the market demand, begin to determine the best approach for positioning your brand. Think unique positioning. Are you the best at creating product marketing strategies, are you the first one to have mastered how to conduct electronic meetings for your work team, are you the most accomplished, award-winning sales professional in your company/industry? Branding can be accomplished through verbal and visual means. Verbal branding includes your sound bites and success stories, while visual branding is accomplished through your actions, attitude, and attire. Hone your product benefits into a short 3-Point Marketing Message that conveys your unique strengths. This message/elevator pitch should be a critical sound bite in your branding campaign. Create a statement on the benefits you bring to keep you focused in your search, help networking contacts know how to help you, and explain your value to interviewers. Align your statement with employer buying motivators, such as generating revenue, saving money, or solving a problem. Be prepared for the networking opportunities that abound, both internally and externally. Be ready with a sound bite that describes your unique brand. Mix and match your success stories and sound bites to create a comfortable yet compelling 2-Minute Introduction. Practice. You must be able to deliver your sound bites naturally, without appearing as though you’re reading a telemarketing script. Visual branding means you must look the part. Ask for wardrobe advice from someone who is successful and has a good sense of style. If uncertain about how to dress for a networking event or interview, err on the side of formality. Visual branding also means you must act the part. Candidly evaluate your mindset, beliefs, behaviors, and attitudes. Are these consistent with others in your field who have attained notable success? Find a person or two who will respectfully and selflessly support you in your commitment to shaping and enhancing your ideal image. A coach can be an ideal support person. Branding will either contribute to or take away from the chemistry you want to create with employers. Remember to look for opportunities to deliver your brand. In doing so, you’ll bring value, benefits, and advantages to those you serve. Enjoy creating and communicating a clear and compelling brand! Networking is one of the most important components of job searching. Use these top social and professional networking sites to enhance your career and boost your job search, and learn how to use social networking sites to job search. How to use the full power of LinkedIn to job search, including effectively using your connections and utilizing all the information available on LinkedIn when you’re applying for jobs. If you’re using Facebook for professional networking, and more people are every day, here are tips on the best way to use Facebook when you’re job searching. Twitter is a social networking and microblogging service utilising instant messaging, SMS or a web interface. Twitter is open ended and people and companies use it in a variety of ways, including to job search. MySpace is a social networking website offering users the opportunity to connect through personal profiles, blogs, groups and other features. Ning is an online service to create, customize, and share a social network. Users have used Ning to create online social networks about lots of subjects, including jobs and the job search. Doostang is an invite-only community, founded by a Stanford MBA and an MIT engineer, that connects young professionals to career opportunities through social networking. Most people know that the best way to find a job is through networking. You can go to networking meetings, tap into your own personal network, or ask friends who they know. With the Internet buzzing with social media, there are similarly many ways to use social media in order to network, and eventually find a job. How to create a professional brand using social networking sites and how to build a strategic online presence to help with your job searching and career building. Career and social networking online resources. Where to network online as part of your job search and how to use a social network to help land a job. Social Networking Sites – Top Social Media Sites for Job Searching.